Educators agree that STEM education is essential to prepare students for the challenges of the 21st century workforce. The skills they learn in science, technology, engineering, and math subject areas also develop vital skills necessary for success: critical thinking, creativity, problem solving, and collaboration. Although there’s quite a debate about whether the A for the arts needs to be added to STEM to make STEAM or if it’s already there inherently, it’s evident that fine arts, language, and music play a key component in a curriculum to prepare young people to face the complex challenges of the future. Traditional school curriculum segregates studies into separate subject areas. However, project-based learning is an instructional approach that blends subjects. Students are faced with an authentic, meaningful, real world challenge. And these are non-Googleable questions! Students investigate a problem and propose viable solutions in an interdisciplinary study. Technology is commonly used as a tool. Whatever skills are required to solve the problem – math, science, language arts – must be learned and mastered. Students need to be able to think innovatively, plan, create, and communicate the resulting project. Usually STEM subject areas are needed, and students build valuable job skills such as computational thinking, initiative, perseverance, and communication. Where Do the Arts Appear? To answer these ‘big’ project-based challenges, students need to integrate the arts. Creative thinking and design are a central part of innovation. Being able to imagine an outcome, visualize a product, or communicate an abstract idea requires artistic skills integrated with multiple STEM skills. Designing an innovative product may require engineering, mathematical, and scientific problem solving. But it also needs an attractive appearance to make an emotional connection to consumers. These are artistic decisions. When a new product is brought to the market, communication skills are essential. Advertisers excel in persuasive writing. In addition, the creation of new logos requires a knowledge of graphic design. The success of a venture often depends on artistic choices. Infuse the arts into STEM education. We’ve been working with Scratch recently to develop a STEM project, TechnoCode, that teaches coding skills. The students will learn programming skills as they make animations, games, or interactive stories. The brainstorming, problem-solving, and decision making involved in programming demand innovation and ingenuity in design choices. To foster the trailblazers of tomorrow, STEM education needs to acknowledge and incorporate the arts. Whether you’re a teacher presenting a PowerPoint slide show to colleagues, parents, or students or if you’re teaching students how to give a dynamic presentation to their peers, following are ten tips to keep your audience hooked! Animating a presentation creatively can keep viewers engaged and interested. There are lots of types of animation effects: an entrance effect makes an object appear, an emphasis effect draws attention to an object, a motion path makes an object move in a selected path on a slide, and an exit effect causes objects vanish. Consider adding more than one animation to an object – it can appear on the scene using a zoom entrance, then pulse using an emphasis effect, move around using a motion path, and finally fly out using an exit animation. Be careful though. The variety of animations should not be unlimited. A repeated animation gives consistency to a presentation. For example, text on all slides always appearing the same way lends a professional touch to the presentation. What should show up first? second? third? Usually, you would start with the title, then text, then pictures. If there is a picture of a character and a callout with what he is saying, the picture should appear first, then the words. Sequence the animations in a logical order for what is on the slide. Lots of fun, exciting effects such as Boomerang, Bounce, Pinwheel are appropriate for younger children watching a slide show with lots of pictures, while presentations with text for adults would suit more moderate animations such as Fade, Wipe, or Float. If you want several objects to animate at one time, group them. To do this, click on a slide object and hold down the SHIFT key. Click on the other objects you want to include in the group. Once they are all selected, select Group. If there is bulleted text on the slide, the bullets should appear one point at a time. If no animation is applied and text appears all at once, people may read ahead and tune out extra information provided by the speaker. If the text is animated, ensure that there is ample time to read the words. Although you are familiar with your own slide show, remember that most viewers will be seeing it for the first time, and need extra time to read the words and watch the action. Pick appropriate effects. For example, a bounce effect works for a ball but not a car. Spinning text is confusing; appear, fade, and object color effects work better for words. 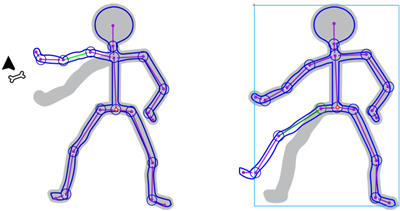 Animation effects often have a number of options which can be adjusted in most apps. The type of options such as direction, speed, or color, vary with the particular type of effect. For example, you can choose to have text float in from the top or bottom. Not all animation effects have options. Decide if you want to control the animations manually – use the On Click start action – or automatically – choose After Previous. Some apps, such as PowerPoint, allow you to change how an animation starts, how long it plays, and if there is a delay between effects. Some apps, such as Google Slides, set the speed as slow, medium, or fast. Make sure the animations play slowly enough so that a first time viewer is not confused by the action. When animating more than one text box on a slide, you can make them show and then vanish, one at a time. In this way, you can have several text boxes placed on top of one another, yet appear separately and then disappear. This is perfect when characters speaking or debating. A conversation can be animated on one slide. Animating a presentation should attract viewer interest, not distract them. Clip art that is scenery such as a building or tree may look odd zooming onto the slide. Have fun with animation using these TechnoKids technology projects. Use TechnoPresenter to teach essential research and presentation skills. Students create a slide show on any topic of their choice, then build public speaking skills as their present to their peers. In TechnoToon, students create a digital story that looks like a cartoon or animated comic strip. 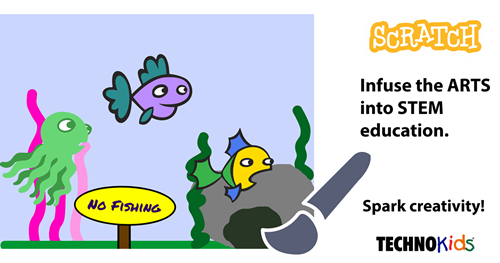 Inspire young writers and budding artists using Google Slides or PowerPoint. Take a stand! Students collaborate with a partner to debate the pros and cons of a controversial issue of their choice in TechnoDebate. They use Google Slides or PowerPoint Online to prepare an animated debate. In my previous post, I explained how to use Presenter View in PowerPoint 2016. It’s a nifty feature that, if you have a projection system, allows a presenter to see the current slide, next slide, speaker notes, and presenter tools on a separate screen. The audience sees only the slide. Teaching students how to give a presentation that is informative while captivating the attention of the audience is a valuable skill. An essential part of a presentation is the preparation of speaker notes. These notes provide structure to a presentation and encourage the audience to listen as well as view the screen. Speaker notes can include reminders of what to say and additional information or facts that do not appear on the screen. If a second screen is not available, speaker notes can be printed as Notes Pages or as an Outline. But if you have a projection device and can see the computer screen while presenting, Presentation View allows you to see your notes and reminders on your computer screen during the presentation. The projector only shows the slide to the audience. Any presentation should include a number of rehearsals, either privately or with peer coaching, before it’s ready to unveil to an audience. Using Presenter View, the speaker can rehearse with the navigation tools, see the current and upcoming slides, practice using his notes, and become proficient using the pointer tools. If the text on a slide is contained in bulleted points, set the animation so each one appears upon a mouse click. That way, you can limit the amount of words the audience can read and expand on the information as you speak. The audience will focus on both the slide as well as the speaker. If there are pictures, you may want to control when they appear. Set the animation so images or diagrams show upon a mouse click. The viewers will focus on the picture only when you cause it to appear. Presenter View allows you to preview what will happen when you press ‘next’ in advance of the audience seeing it. The laser pointer, pen, highlighter, and eraser allow you to annotate, draw, or direct the eyes of the audience to particular words or images on the slide. Used sparingly, these tools help to attract and hold the attention of the audience. You can even black or white out the screen should you want to stop or pause the slide show. Use the laser pointer, pen, or highlighter to direct the viewers’ attention. During the question period at the end of the presentation, or at any time during the presentation, you may want to go to a particular slide. If you click See All Slides, a thumbnail of all slides appears on the presenter’s screen only. Click on the desired slide and it will appear on the audience’s projected screen. The stopwatch at the top corner of Presenter View is handy if there is a time limit for the presentation. It’s also useful when practicing – are you speeding up each time you present? Be careful not to talk too fast when you become familiar with the slide show. Remember that the audience is watching it for the first time. Teach essential research skills, power up a presentation, and build public speaking techniques with TechnoPresenter. Integrate this technology project into a curriculum area using any topic of study. This project is suitable for student in junior and middle school grades. Learn more about TechnoPresenter here.